Although hotel industry projections for 2017 show continued revenue-per-available-room growth at a slower pace to previous years, there is still cause for optimism. But as the demand-to-supply growth rate gap narrows, or intersects, it is not too early to look beyond the next couple of years and consider how your hotel asset is positioned to weather an inevitable industry correction. While economic change is a certainty, the experience and proficiency of a steady management hand is far from a given. The value of an established hotel management company becomes particularly evident when unfavorable market conditions make the line between profit and deficit extremely fine. Tough times separate the proven management companies from the also-rans, and engaging the former is essential for owners and investors who want to keep their property performing. When selecting the right hotel management partner to help your property stay strong throughout the leaner times to come, it makes sense to go beyond the basic resume and consider the following attributes and characteristics that might not be immediately obvious on the surface. It is essential to have a great executive team at your hotel that is supported by a rock-solid organizational framework. The best hotel management companies provide leadership along with systems, training, structure, tools and industry partnerships that support the hotel staff with a solid foundation for success that ultimately leads to delivering exceptional results. The shared values and business practices of a successful company routinely separate the top performers from the rest of the pack. Think of culture like a combination of personality and values: the collection of traits that distinguishes one organization from the next (not unlike those that differentiate one person from another). In the hotel management world, a culture of results is critical, and that starts at the top. 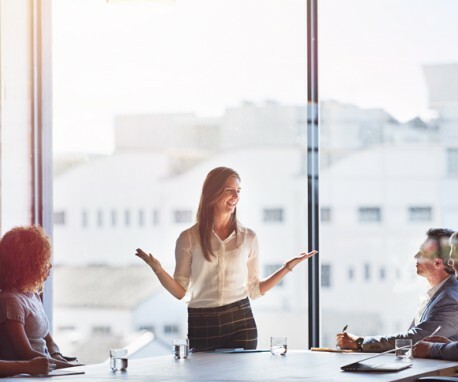 A results-driven culture should be clearly evident, and it should permeate throughout he organization with consistent communication from corporate leadership to the GM, and on through every member of the hotel team. There is no one-size-fits-all when looking at hotel management companies and analyzing what is the best fit for your hotel asset. Be leery of big promises and do-anything absolutes. When looking at strengths and weaknesses, pay particular attention to the types of assets managed, location of hotels managed as well as the types of clients. Do you need a management company with an international presence or is a regional company a better alternative? How many hotel assets are assigned to a VP? Obviously, a lower number of hotel assignments means more attention given to your asset. Does the management company have experience dealing with private equity or institutional clients? This could be important in regards to reporting, financial controls and familiarity with Sarbanes-Oxley compliance. If you have a clear understanding about the needs, goals and objectives of your hotel asset, it will make matching those requirements with your management company a much easier task. A unique question to ask a prospective management partner is: how many deals have they turned down in the past year? It might seem counterintuitive, but it might provide insight into their business development strategy. This is a business where the best companies are able to be quite selective—to pick and choose their opportunities and deploy their resources and their expertise to support assets that match their growth strategy and those of their clients. Ultimately, the right hotel management partner is the one that best meets the goals and objectives you have determined for your hotel asset. Each hotel is unique with its own set of challenges and opportunities based on market conditions, competitive situation, location, brand and the condition of the asset. The top-performing hotel management companies can affect hotel market value in any situation by maximizing top-line revenue and simultaneously controlling bottom-line expenses. Selecting the correct management company works to your advantage.